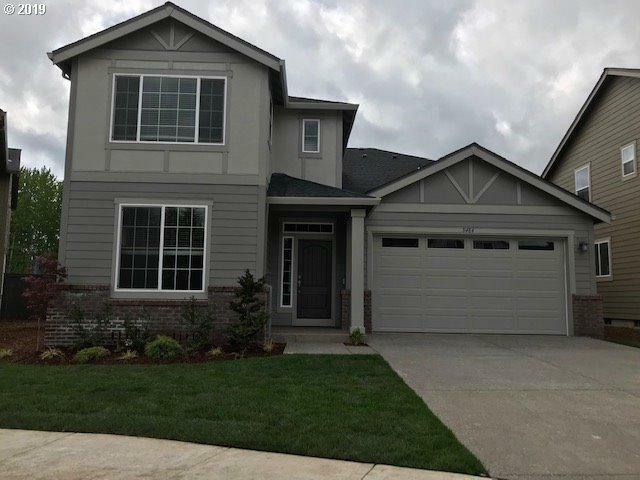 This stunning Marquam English plan is sure to impress! Open concept great room & kitchen, dining room with buffet cabinetry, huge island perfect for entertaining. 5 bedrooms (including a BR downstairs with a full bath), loft, tech center. Covered patio for outdoor fun. Beautiful Alder cabinets with Pebble Beach palette. AC, blinds, landscaping, home automation. Interior pictures & Video are of Model. Models open Sat-Tues 11-6, Fri 1-6.